I was never really a 'watch person' but I have always admired good quality watches, it just something about them that gives a whole different feel to any look. 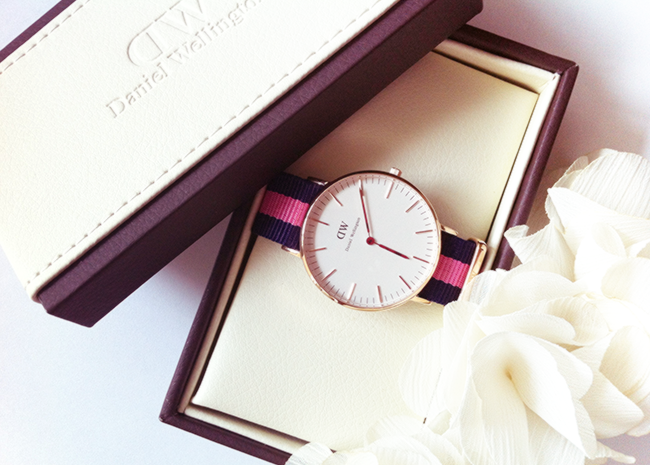 So I was beyond excited to wear this 'classic Winchester lady' watch that Daniel Wellington was so kind to send me. The moment I saw it it was obvious that it's a very good quality watch. And so pretty too! I love watches with a fabric strap, and this one is adorable! Love your denim shirt and moccasins! The watch is sleek. It's really beautiful. I like how you wore it with such a casual outfit. Kind of dresses it up, but in a subtle way. Thanks for sharing your outfit, and your watch, with us. Have a nice weekend. 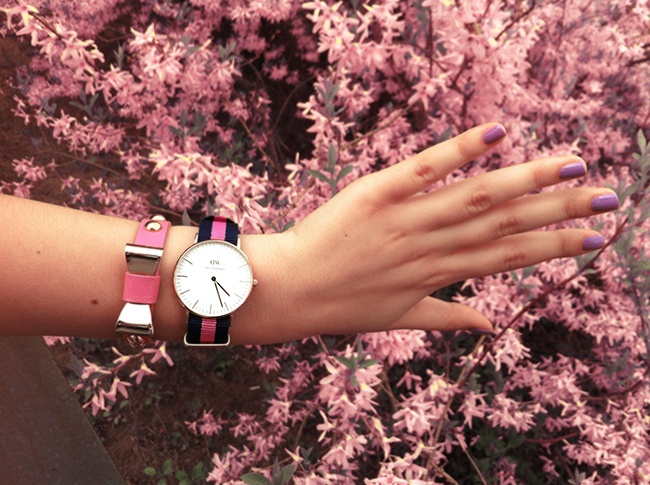 Your watch is so cute and I love that bracelet you paired it with too! Great look - love the casual chicness of it. Happy Friday! I love the shoes! cute shade of pink! I really like your outfit. And photos! They are amazing.